The Vikings and All That is a skull-splitting saga about the wild, seafaring warriors who burst into history in the 8th century and looted, plundered, pillaged and burned their way from their native Scandinavia to the British Isles and much of Europe. 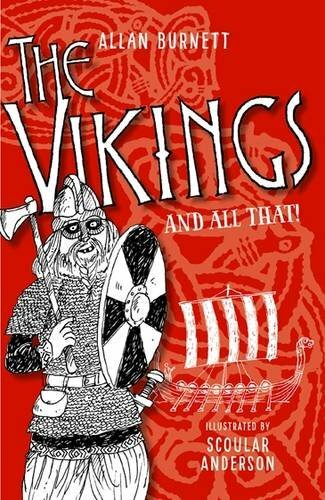 Packed with fantastic, fun illustrations of everything from the Vikings' warships to their favourite board games, this is the book that answers all the key questions you might have. If you want sensible answers, packed with historical facts and thoughtful revelations about the Vikings' civilised side then this is the book for you. But if you want boatloads of bearded, shield-biting maniacs bearing down on defenceless, sandal-wearing villagers, then this is DEFINITELY the book for you!